No bake chocolate oatmeal bars. Just 5 ingredients and 10 minutes to assemble then time in the fridge overnight and you’ll have these delicious treats ready for you to carve. 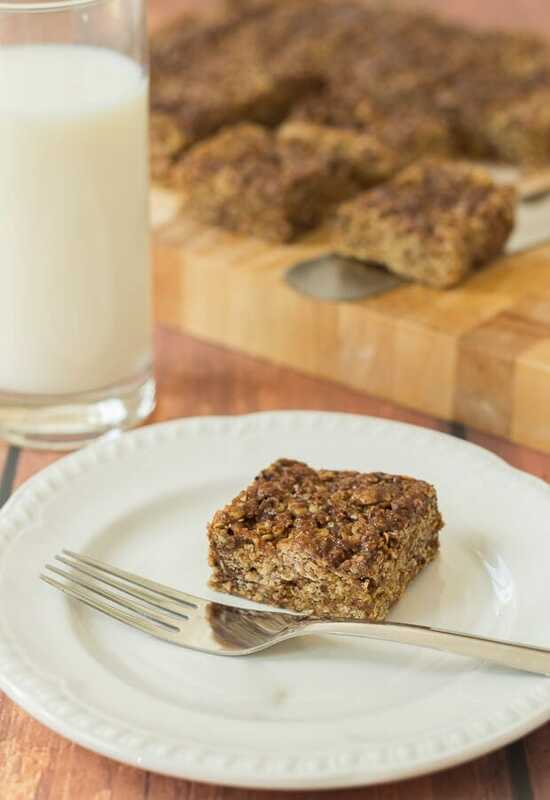 These no bake chocolate oatmeal bars are good – in fact, they’re too good! And how do I know that? Well my cheeky little nieces loved them and I can tell you that’s a real seal of approval. Lady Lynne took a batch of these no bake chocolate oatmeal bars over to my nieces when she was visiting them a couple of weekends ago. 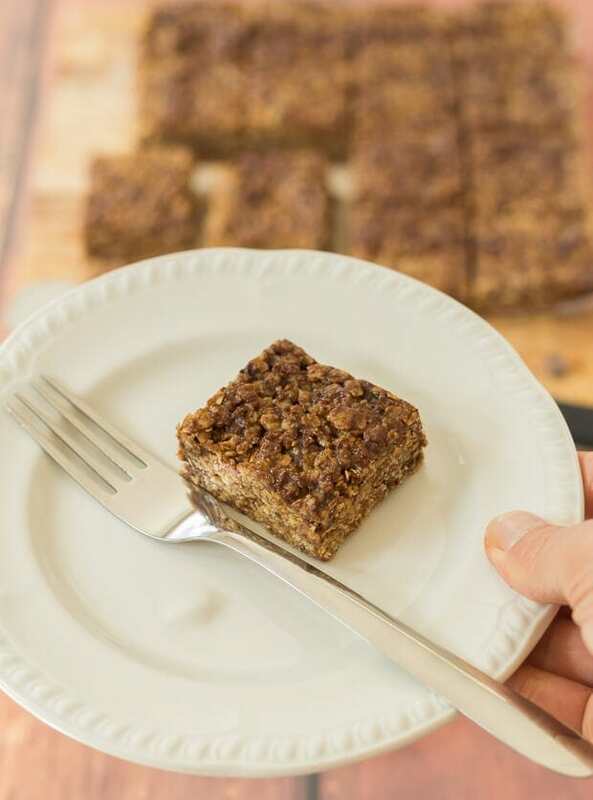 Based on the same winning formula as my no bake almond oat bars with the addition of chocolate chips and still made with no refined or processed ingredients, these tasty morsels were soon being put through a set of rigorous tests. Were they chewy and sweet enough? Yes! Were they chocolatey and gooey enough? Yes! Were they filling enough and just enough for a sweet treat? Yes! 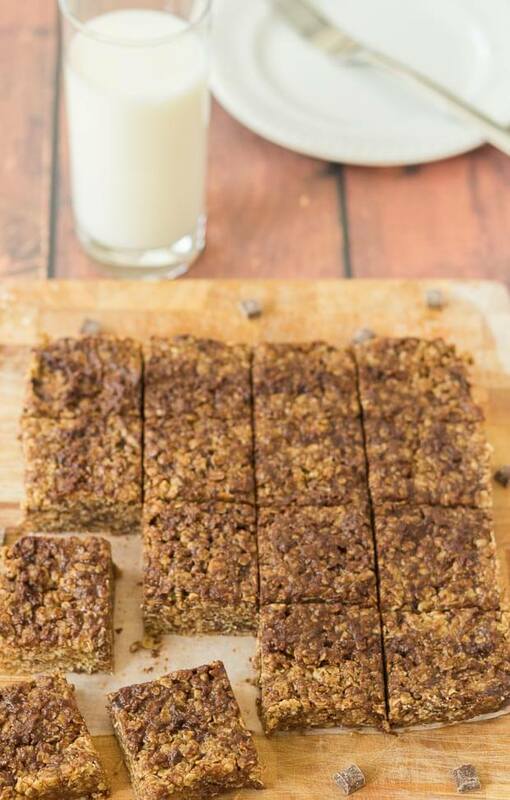 No bake chocolate oatmeal bars, approved! I think the easiest way to summarise just how good these no bake chocolate oatmeal bars are, is to give you top 10 reasons as to why I think you would love them too. 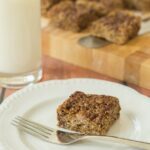 No Bake Chocolate Oatmeal Bars Summary Just 5 ingredients and 10 minutes to assemble then time in the fridge overnight. In a large saucepan over a gentle heat, place the almond butter, honey and cinnamon. Then stirring constantly, allow these to melt and infuse together. Remove from the heat. Stir in the oats and dark chocolate chips and combine the mixture well together. Place the baking tin into the fridge overnight. In the morning, remove from the fridge, lift out the hardened slab using the greaseproof paper onto a cutting board, and cut into 16 bars. Can be stored for up to one week in a sealed container in the fridge. Let me know what you think about these no bake chocolate oatmeal bars in the comments below folks, thanks! Next week, I’ll be back spiralizing again with a fantastic delicious new recipe to add to the spiralizer recipe collection. See you then! This is pretty much how I make my oatmeal bars too! It is crazy how many ingredients go in to store bought oatmeal bars – they are just full of junk. It’s sad that people can’t just spend 10 minutes making these instead, like you say, of buying those store bought ones! O I can’t believe they are no bake <3 They look superb 😉 Too good…for only a moment, until I eat them all and need to make more! Ha Ha, that’s brilliant Rebecca. 🙂 Thanks, I’m glad you like them. Believe me it’s tempting not to eat these all in one go! When I was trialling them, I made them, tried one and put the rest in the freezer, away from temptation. But, that was also good because we then knew they were completely freezable too! Thanks Amanda, yeah these totally got a seal of approval from my little nieces. These look amazing! I need to try them and no baking is always a win. 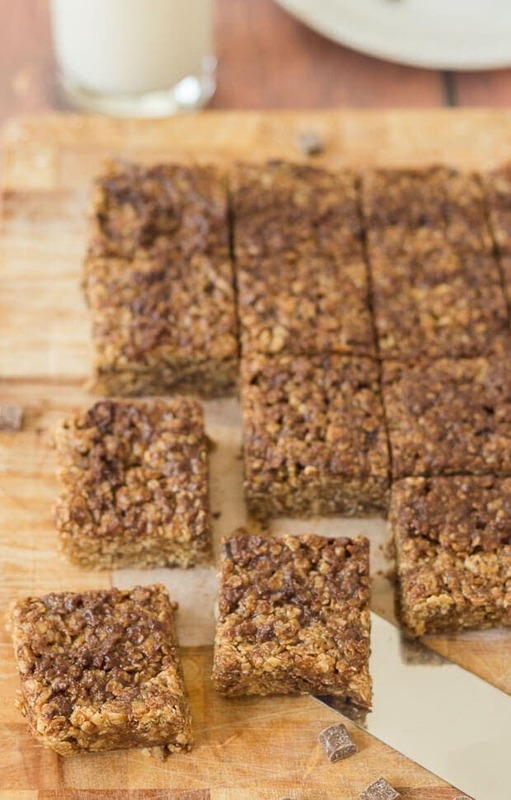 I’m a big fan of no baking Megan, not only because it’s so much less hassle but I love the idea of something being stuck in the fridge overnight and being there, ready for you in the morning! NO BAKE recipes are a blessing and a curse… I think you know why! lol! I blame blogging. That’s where I found all about the culture and technique of no baking! Otherwise…..I would never have discovered it. I feel like these need to be microwaved and then served with some ice cream. Just saying. No! I mean yes!! Yes, Yes! THAT is a FANTASTIC idea, lady! I never thought of that, Lynne is going to love that. Particularly because I’ve a whole stack of these to use up in the freezer, and your idea is so simple for our weekly Sunday pudding!